A few months ago, StageTrix contacted me and asked if I would be interested to do a review of a piece of gear they’re selling. Since it’s guitar related.. I said “hells ya”. A couple of weeks ago I received nice little package in the mail which contained two items. A single Pedal Riser and a Pedal Fastener. I like simple things and I love simple ideas that can address the complex, and this product definitely does. The concept is extremely easy to grasp. If you have a flat pedal board, with two rows it can be a pain to *work* that back row and it’s often easy to hit the knobs on the front row in the process. With the Pedal Riser, you can address two things. The first is raising the back row up so the pedals are elevated. Secondly, there are cable routing channels below the riser to help tidy things up. When it comes to pedals or pedal accessories, I always have to look at construction. Since you’re potentially pounding on this, it needs to be strong. The individual Pedal Riser is built using 18 gauge steel, so it’s not going to collapse on you. Pedals are mounted to the Pedal Riser via velcro. 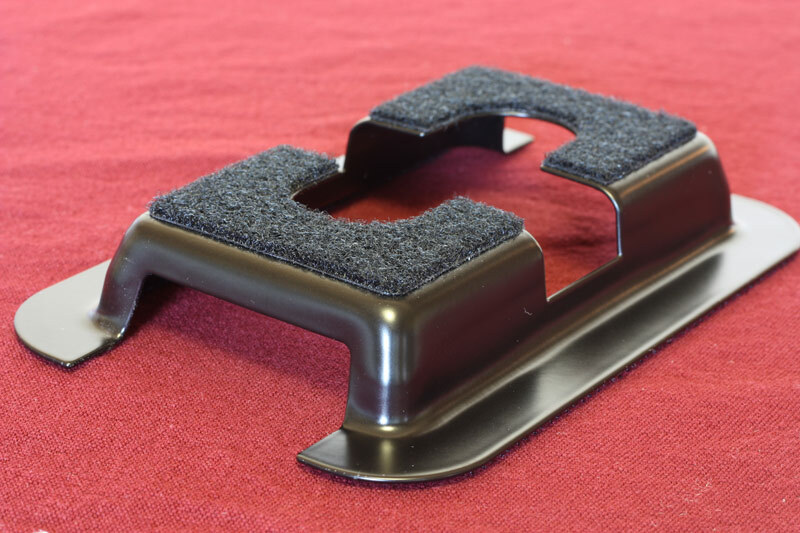 You can purchase the Pedal Fasteners which is a adhesive velcro pad you would affix to the pedal and then the pedal would stick to the riser. As you can see, the riser is sized to fit common sized ‘single’ pedals. But if you’re like me, I have a Line 6 DL 4 in the rear, you would add two risers and you’d be good to go. 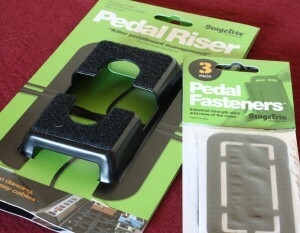 Pedal Risers can be found at a few online stores and at a various locations across the US. Click here to find where you can buy a Pedal Riser near you.